Strasbourg, France, Feb 1, 2019 / 03:00 pm (CNA).- Richard Williamson has lost an appeal against his 2010 conviction for inciting hatred. His appeal was rejected January 31 by the European Court of Human Rights. Dublin, Ireland, Aug 25, 2018 / 05:29 pm (CNA).- On Saturday, Pope Francis met with two representatives from the Coalition of Mother and Baby Home Survivors for a 90-minute meeting at the Papal Nuncio’s residence. Rome, Italy, Mar 31, 2019 / 03:58 pm (CNA).- Returning to Italy from Morocco Sunday night, Pope Francis said the problem of child sexual abuse, in all its forms, cannot be tackled without understanding the influence of evil. Time for bishops to respond to Kasper. They can’t even respond to infanticide….. Failing to teach the truth of the faith leads souls to hell. Kasper is a modernist, liberal heterdox and needs to just go away. Now it is “behind the Pope’s back” to teach the basic truths of the faith? I read Mueller’s whole “Manifesto”: it is nothing more than basic Catholicism. If such a document brings condemnation from cardinals, we really are in de facto schism already. Kasper’s replies shows an intellectual bankruptcy regarding the Catholic Church and the absurdity of a ‘Catholic truth’ that is only a ‘half truth’ because the world may come to believe in one God and a bartered peace is better than none. It has not stopped Muslim bloodshed no matter how many times prelates of Christianity have defined down the triune God or even denied Him for the sake of peace. 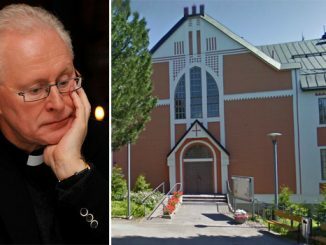 A Kasper church does the world no favor in denying the truths of the Catholic Church in believing that will bring a theological and secular piece to the world. How does Kasper reconcile John 8:32…”and the truth shall set you free”??? “Half the truth is not the Catholic truth!” pontificates Cardinal Kasper who, in his now predictable mindset, seems to imply that the whole Catholic truth is, what, less incarnational than it is big-tent syncretic (“catholic” small c)? What? Of course, ALL such platitudes are true—but, is it now inadmissible for Cardinal Muller to simply present the real Catholic Faith—except by immediately overlaying and obscuring the Catechism picture with distinctly other religions? Except by decoying the reader away from the question of personal salvation? Kasper even equates Muller with Luther! Hah! The shoe is on the other foot…With Cardinal Muller and the Second Vatican Council and the entire Apostolic Succession—might the whole Catholic truth be BOTH in harmony with important parts of other religions AND decisively more? “…The truth is that only in the mystery of the incarnate Word does the mystery of man take on light…Christ the Lord…by the revelation of the mystery of the Father and His love, FULLY REVEALS MAN TO HIMSELF [caps added] and makes his supreme calling clear” (Gaudium et Spes, n. 22). Allowing for and even fostering prudential actions toward “peace in the world,” yes with those of other religions, might it be that the very-most “fundamental” thing in any human flourishing (as well as in eternal salvation!) is still the whole truth about the human person? 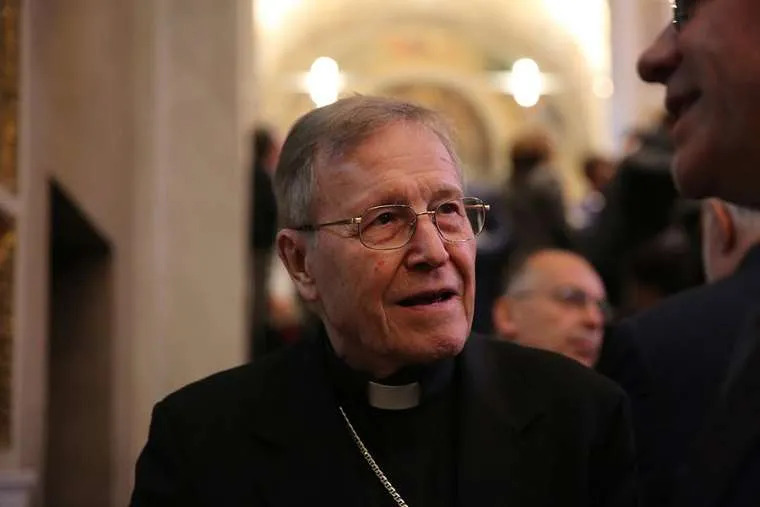 Kasper, A man who himself is known for rejecting perennial Church doctrine on marriage, communion, the Real Presence, and the Divinity of Christ, and has dedicated his life to undermining these unchangeable truths, has the gall to accuse Cardinal Muller of causing divisions. We need to pray for the well-being and good health of Cardinals, bishops and their tribe. Kardinal Kasper long admired by the Pontiff who glowingly described during the Synod on the Family that the Cardinal’s proposal D&R be allowed Holy Communion was piously made “on his knees”. Member of the St Galen Group instrumental for his elevation to the papacy that Group [inclusive of Pope Francis in rigging the election] have no issue whatsoever now that Laity are freely receiving Holy Communion even without the journey of hand holding clergy discernment. As evidenced in the Malta Bishops exchange entered in the Acta Apostolicae followed by that Conference’s total submission to the apparent intent of Francis that D&R Laity simply follow their conscience. The whole pietistic agonizing over D&R in Amoris was a ruse. Now there is nothing to be bothered with and smiles. The fear is how much more coincidence is there between the two. They seem less surreptitiously than before to be two Peas in a Pod. This manifesto is not stating anything new. Cardinal Mueller is simply restating succinctly what the Church has always taught, and what the CCC makes very approachable and understandable for our times…therefore it rings with clarity and truth. Thank God for faithful shepherds. Thank you Cardinal Mueller. It is those apostates, who profess to be Catholic, while denying that God, The Most Holy And Undivided Blessed Trinity, Is The Author Of Love, Of Life, And Of Marriage, Through The Unity Of The Holy Ghost, thus denying Genesis, that have caused confusion and chaos in Christ’s One, Holy, Catholic, Church, making it appear as if we can transform Christ, The Word Of God Made Flesh. That should read, It is those apostates, who profess to be Catholic, while denying that God, The Most Holy And Undivided Blessed Trinity, Is The Author Of Love, Of Life, And Of Marriage, Through The Unity Of The Holy Ghost, thus denying Genesis, that have caused confusion and chaos in Christ’s One, Holy, Catholic, and Apostolic Church, making it appear as if we can transform Christ, The Word Of God Made Flesh.